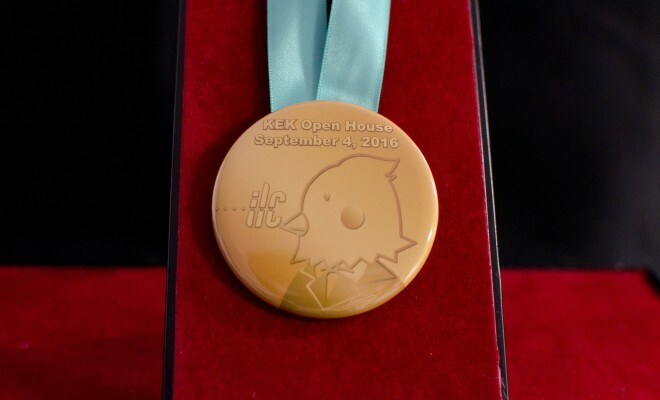 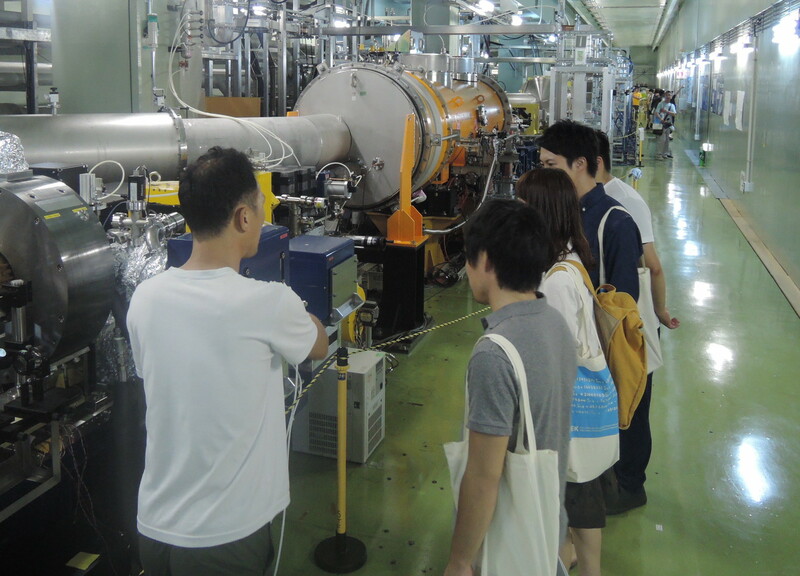 Despite of the severe lingering summer heat, some 3800 visitors enjoyed KEK’s open house held on 4 September. 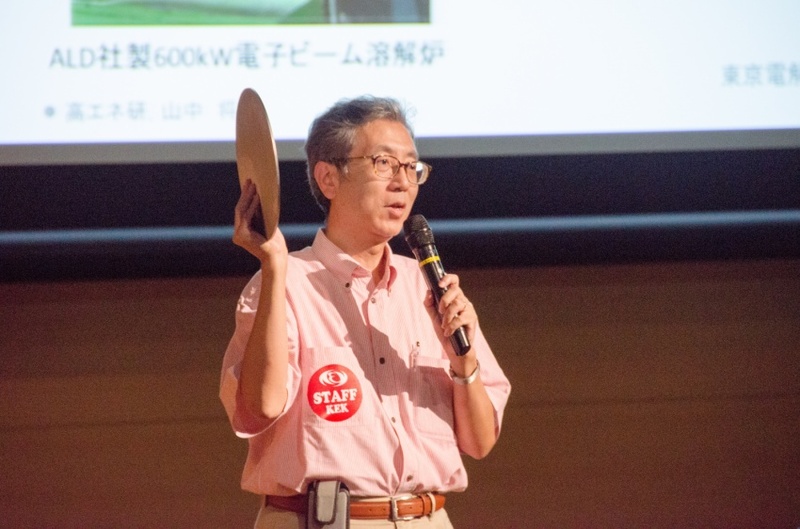 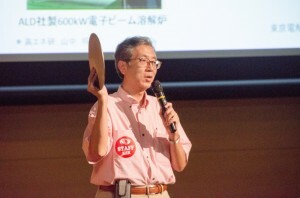 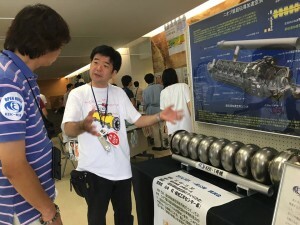 Many ILC-related fun events were offered to the visitors: facility tours of two ILC test facilities, the Advanced Accelerator Test Facility (ATF) and the Superconducting RF test facility (STF), an “ILC experiment game” for kids, a lecture about the ILC superconducting RF cavity production by Masashi Yamanaka, Head of the Mechanical Engineering Center, and a Science café. 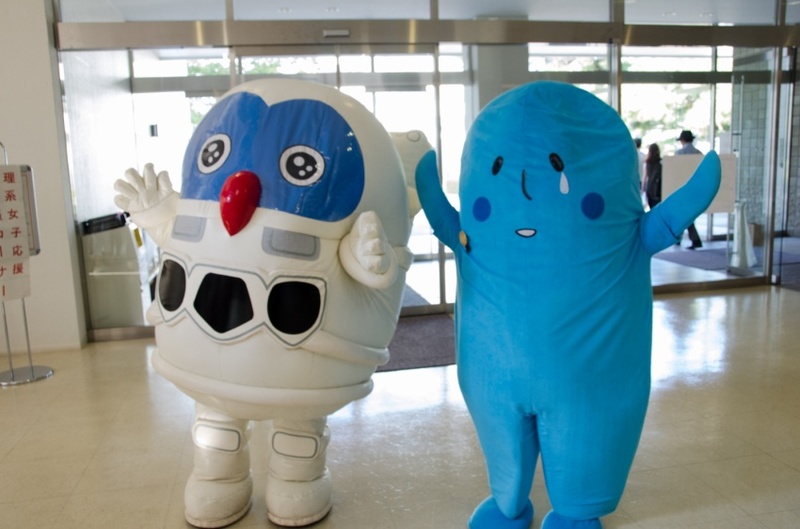 Mysterious Higgs-kun was discovered again following the last year’s KEK open house and DESY Day, and this year, he (she?) 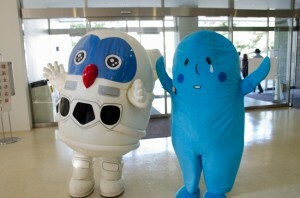 collaborated with Tsukuba city’s official character, Captain Fukkun. 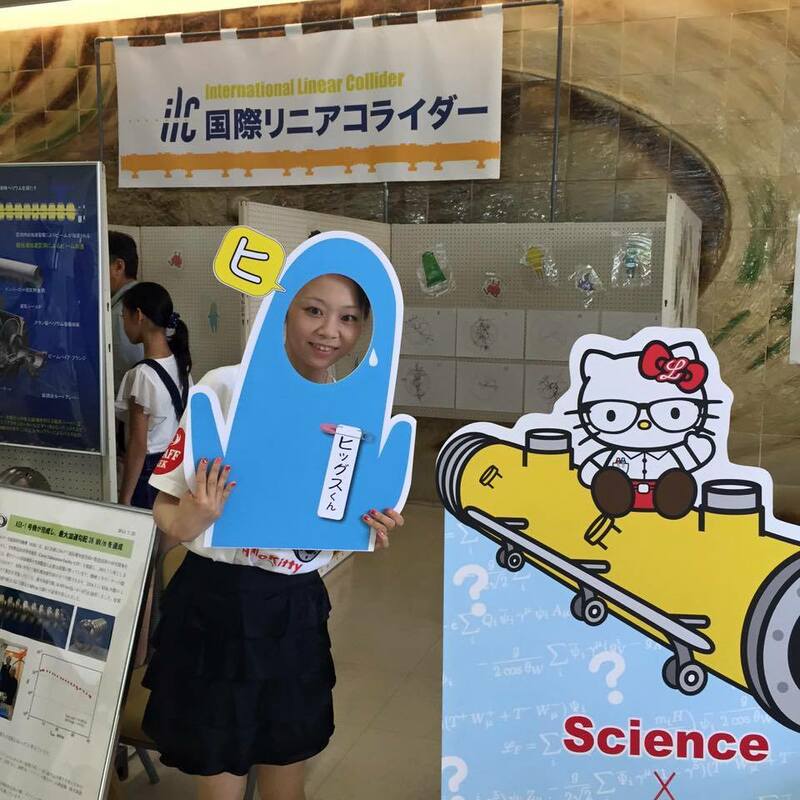 Also many visitors became Higgs-kun thanks to custom-made selfie frame! Of course, Science X Hello Kitty welcomed the visitors at the souvenir store and on the T-shirts of the ILC exhibition staff. 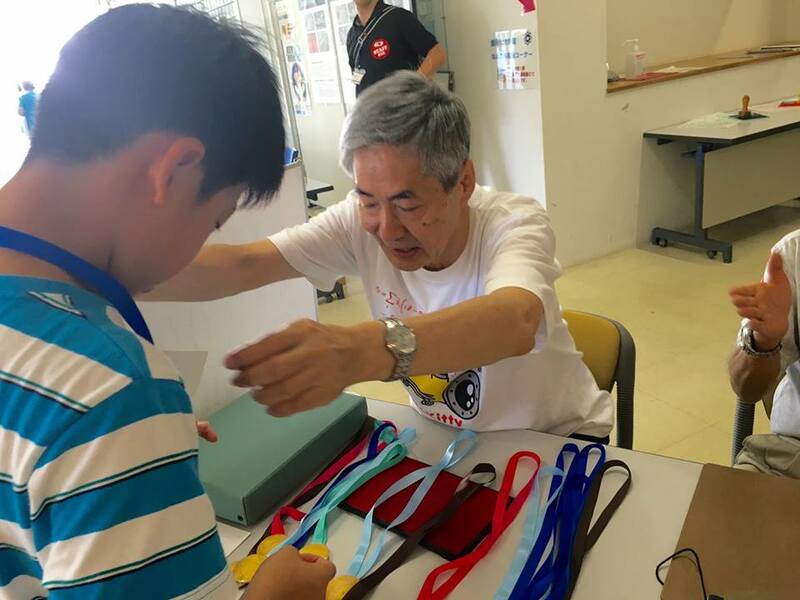 Kids who participated in the experiment game wrote their own papers, and were given one of three prizes; Elephant Zobel prize (Zo meaning elephant in Japanese), Chicken Peep-bel prize, or Cat Mew-bel prize, from the “Great Professors,” the senior scientists. 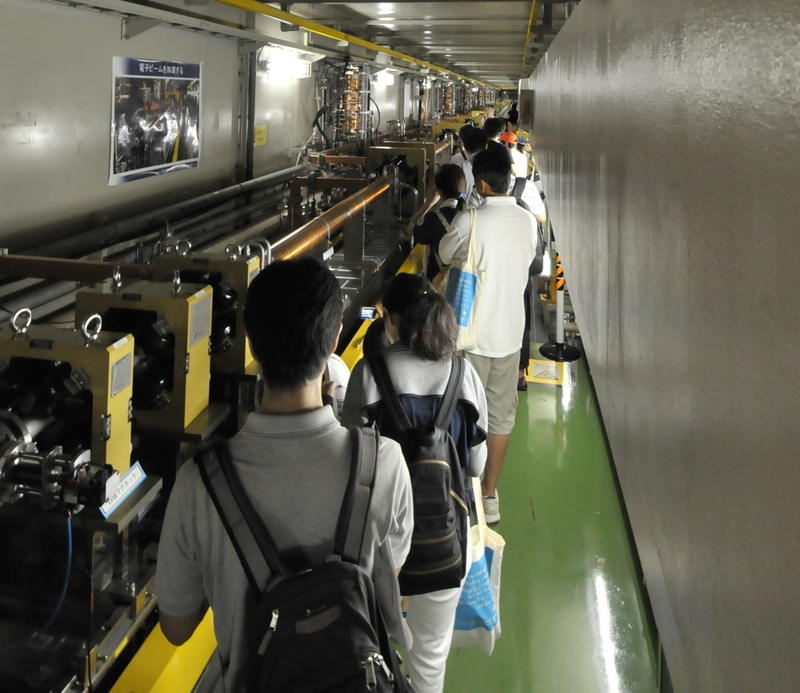 This game was planned to explain how scientists find new particles or new phenomena by the accelerator experiments, using real simulated events and analysed plots.”I was always wondering how new particles are discovered. I finally got the idea of how the particle physics experiments work,” said a mother of participated kids. Many people must have learned that the ILC is fun stuff! 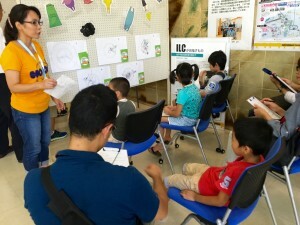 More pictures are shown at ILC Tsushin Facebook.